As I was landscaping today, the thought occurred to me that one of Virginia Woolf's contemporaries, Vita Sackville-West, would've really been amused by my garden. I've always had a fascination for Vita, ever since the PBS special about her life, Portrait of a Marriage. I loved Orlando (the book that Woolf wrote about her), as well as the movie version. I also kind of liked Vita's own book, The Edwardians, although her life was much more scandalous and interesting than her books. One thing that I've taken away from her life is her gardening philosophy: pick a color scheme and stick to it, and then work in three-dimensional levels. Most of all, make sure that your garden fits your surroundings. 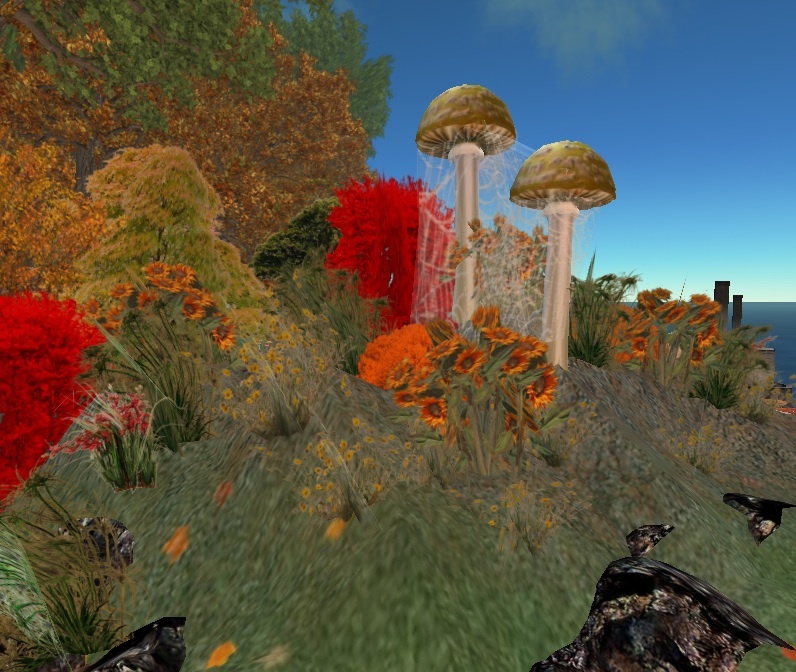 It's autumn in Caledon, so I've made an autumnal garden. Wouldn't this be nice to have in real life?